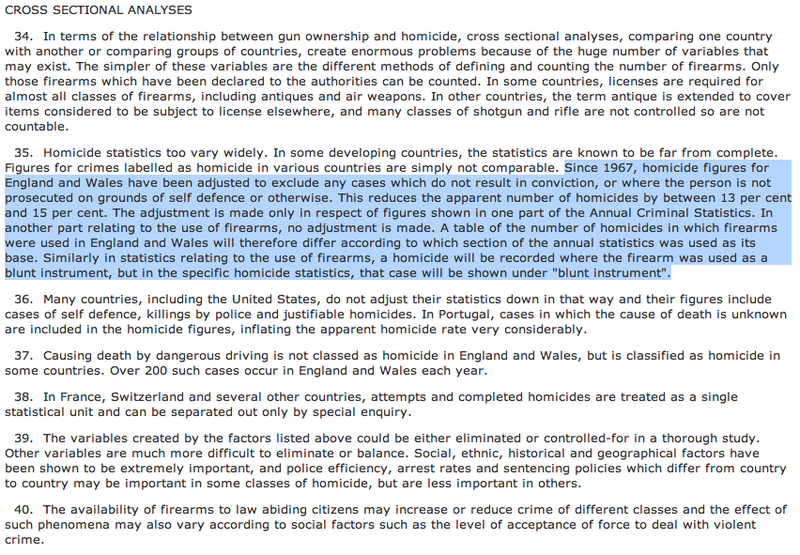 A real problem is that homicides in England and Wales are not counted the same as in other countries. Most strikingly, their homicide numbers "exclude any cases which do not result in conviction, or where the person is not prosecuted on grounds of self defence or otherwise" (Report to Parliament). 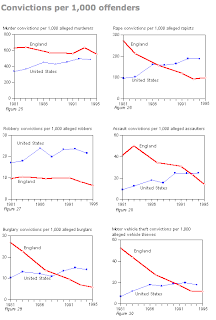 The problem isn't just that it reduces the recorded homicide rate in England and Wales, but what would a similar reduction mean for the US? 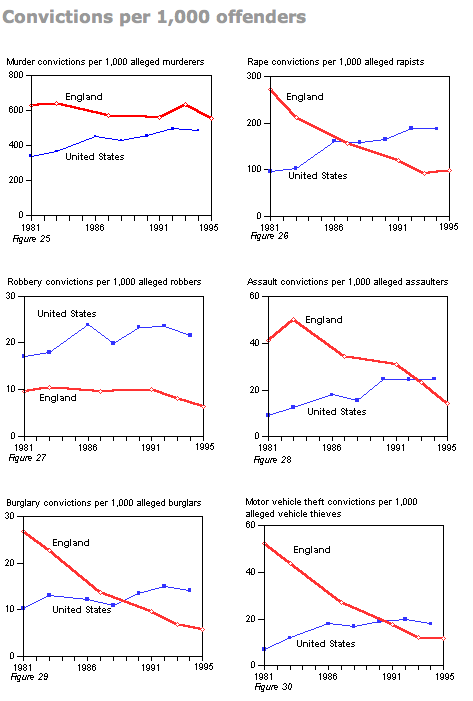 To compare conviction rates in the US and England and Wales, the Bureau of Justice Statistics has some numbers here (other related information is available here), though I have continually warned that purely cross-sectional comparisons are not very useful. But these low conviction rates in England and Wales (555 per 1,000 cases in 1995) are quite inconsistent with the claimed 12 to 15 percent reduction. If it were taken literally, there should be a 44.5 percent drop in cases as a result of "exclude any cases which do not result in conviction." Yet, I see other discussions that are somewhat less clear. 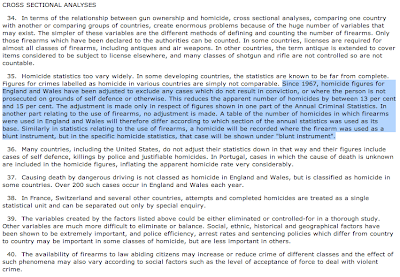 Here is another report from the House of Commons that was released in 1999 (it also contains data on how much this adjustment changes the counted number of homicides in England and Wales). Very interesting report, it has informative history and a shocking malpractice with the Uk justice system. Piers Morgan would wet himself when you quote this next time you debate him. Excellent historical information professor, but it is boggling why the murders labeled murders in Britain have to involve a conviction.